Over/Under: Over 146.5 at 1.90 Bet Now! The reigning Euroleague champions are up against it in their first home match of the 2015/16 playoffs. Mind you, it could also be their last home game of the playoffs this season because if the Turkish side get a win in Madrid, they take a 3-0 lead and the series is over and done with. It should be a nervous but loud night in Madrid. This has been a campaign where Real Madrid have stumbled along, looking as though they are going to be eliminated and then hauling themselves back into contention. They’ll know that they need to win this game but they have managed to win the games that have come across as their last chances up to this point of the campaign. Sergio Llull remains the top player for Madrid this season averaging 13 points a game but the Madrid squad is still packed full of top quality players. If the Madrid squad shows up tonight, they have every chance of keeping their Final Four hopes alive. Given the fact that Fenerbahce have a 21-5 record for the season (in comparison to the 12-14 record that Real Madrid have), you can see why the Turkish side should have nothing to fear about this game. 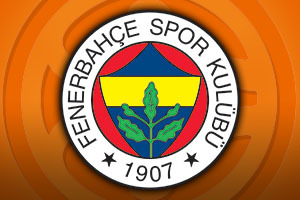 A win on Tuesday night kills the series dead and would allow Fenerbahce to get ready for the Final Four with some time to spare. Ekpe Udoh has been at the heart of the positive play shown by Fenerbahce Istanbul, averaging 12.3 points per game so far this campaign. The absence of Jan Vesely has impacted on the Turkish side’s play but they have a squad that keeps them ticking over. 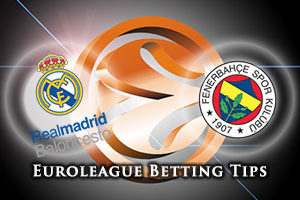 The bookies are going with Real Madrid to get back in the series but it should be close and you can find Fenerbahce Istanbul at +6, at odds of 1.90. When it comes to the Over/Under market for this potential vital game on Tuesday night, you should be looking to go UNDER 161.5, which is on offer at odds of 1.90. Bet Now!